- Or otherwise be derived from the French word for dawn, because it is here that the orders for the garrison were given, at dawn. 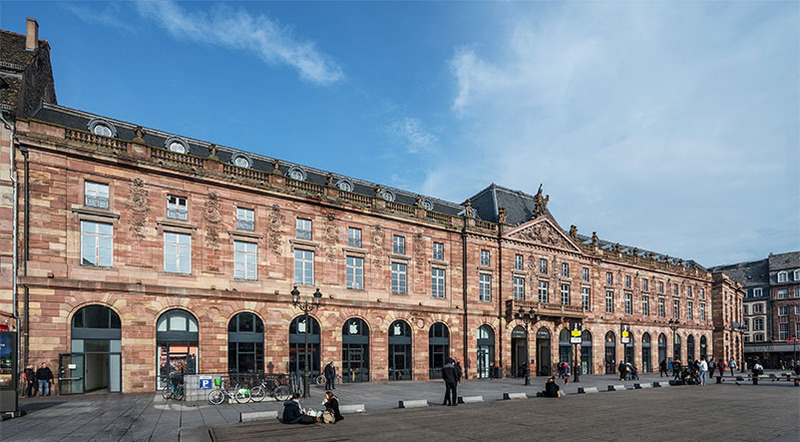 A café with live music was located on the first floor and, in 1868, the municipal museum of painting and sculpture was installed there. 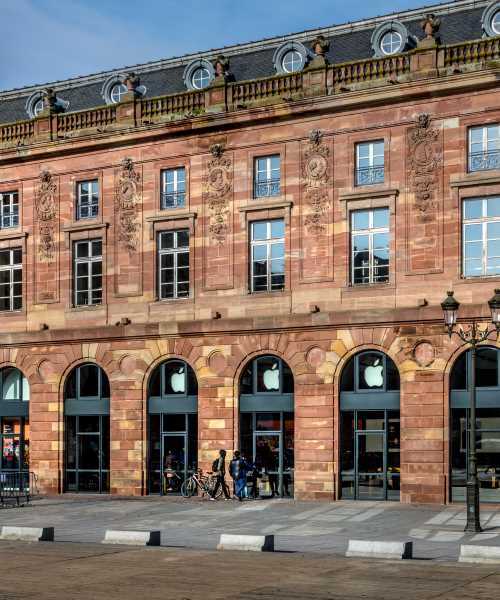 In 1870, during the Franco-German war, the building was bombed and only the facade survived. A reconstruction campaign was launched and completed in 1877. The building housed shops, the music conservatory and a concert hall. In the 1920s, brothers Paul and André Horn installed a restaurant and leisure complex in the east wing of the building, opting for an avant-garde style. In 1938, the managers changed and the decorations either masked or covered. They were rediscovered in the 1970s and underwent major renovation work. 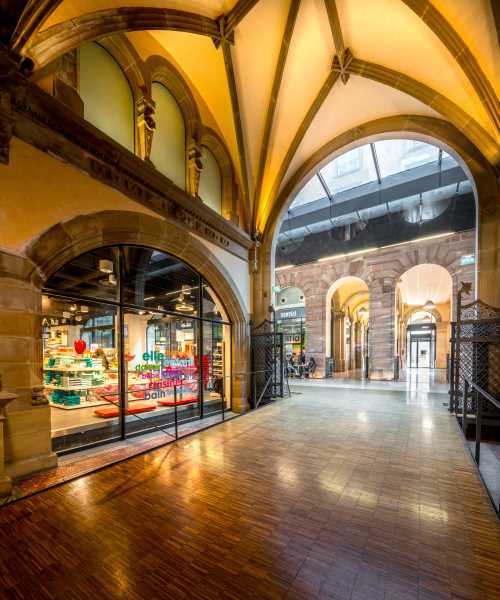 At the same time, the building's ground floor continued to be used as retail outlets. On the first floor, the great hall of the Aubette still served as a venue for shows and events. Originally, this building was intended for shops and housing. It takes its name from the place where it was built. 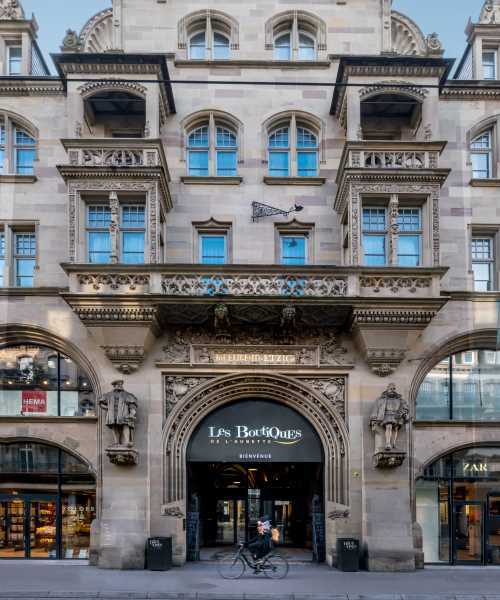 From 1840 to 1901, this was the site of covered halls filled with small butchers' shops. 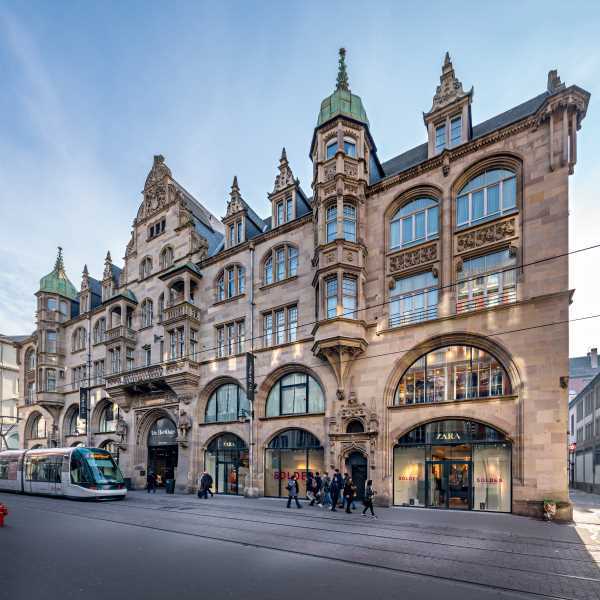 Deemed unfit for use, it was decided to demolish it in order to build a building in the neo-renaissance Germanic style. 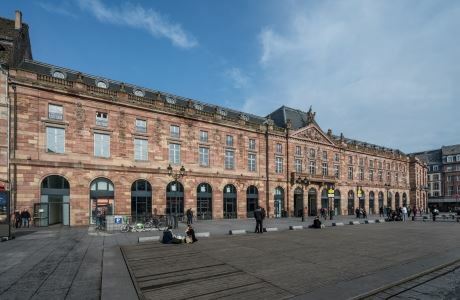 In 2008, intent on giving a new lease of life to the buildings and making the narrow streets more welcoming, Strasbourg City Council launched a restoration project and the creation of a shopping arcade. 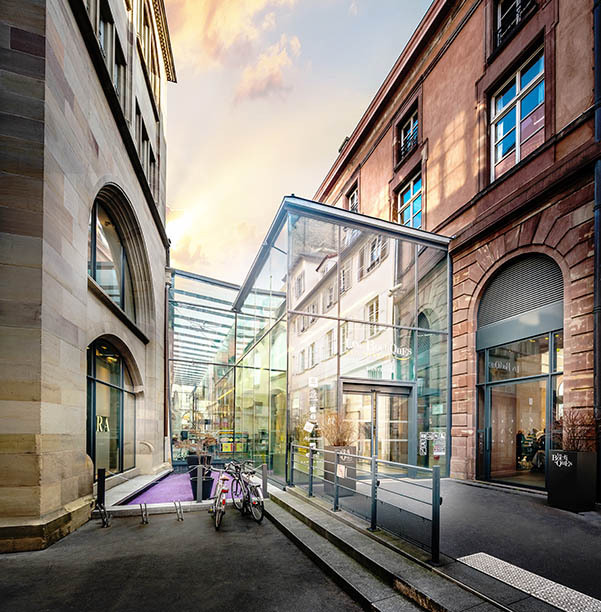 The architecture firm Reichen & Robert was commissioned with the site's renovation. 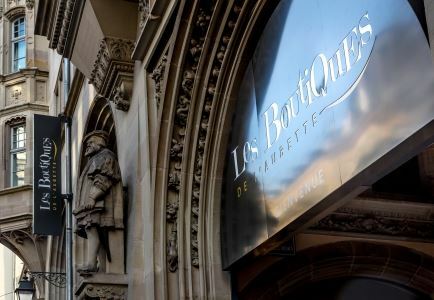 Today, the property complex is home to shops on the ground floor and on the first floor, the Aubette 1928 Museum and the Grande Salle de l'Aubette concert hall. 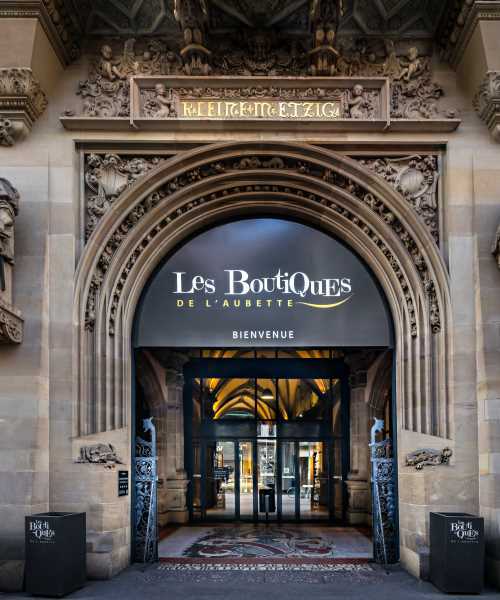 Les Petites Boucheries, in turn, house shops and serviced apartments.